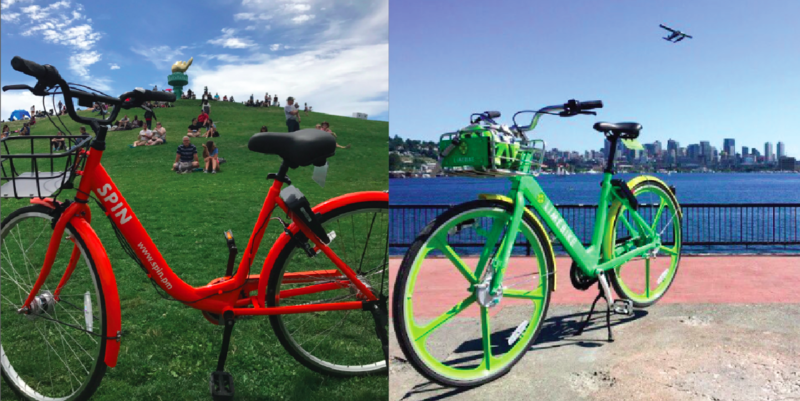 In 2018, Seattle Neighborhood Greenways set out to pilot a quick and cheap way to make Seattle neighborhoods safer to walk, bike, and live in for people of all ages and abilities. Our solution? Neighborhood “home zones” — a low-cost model that’s been implemented with success in other countries. 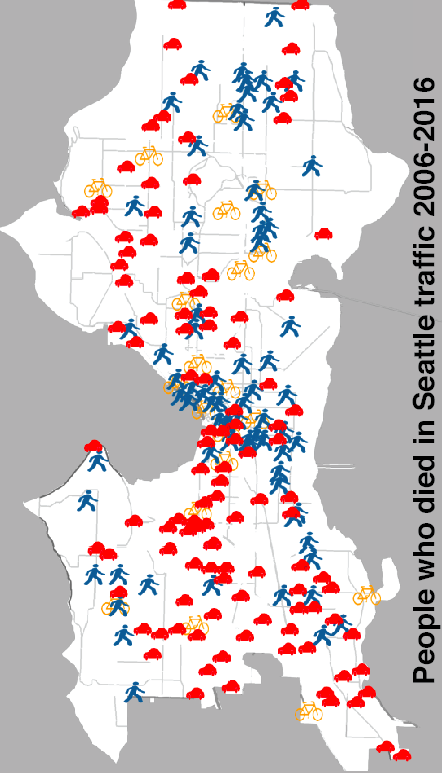 A number of Seattle neighborhoods lack sidewalks, including large areas of North Seattle, which has the highest concentration of older adults in the city. Combined with increasing cut-through traffic, the lack of safe places to walk makes many neighborhood streets dangerous and uncomfortable. 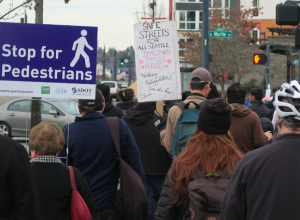 Given the current rate of city funding for pedestrian infrastructure, it’s going to take Seattle 300 years (at a minimum) to make every neighborhood safe for walking. We think this timeline is unacceptable and we set about creating a Home Zone demonstration project to show the city that more immediate, low-cost solutions are possible. A Home Zone is an area that is protected from lots of fast-moving cut-through traffic so that streets are safe enough to walk on. 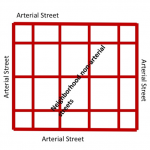 Home Zones direct thru-traffic to arterial streets that surround a neighborhood, keeping local access for residents, emergency access. 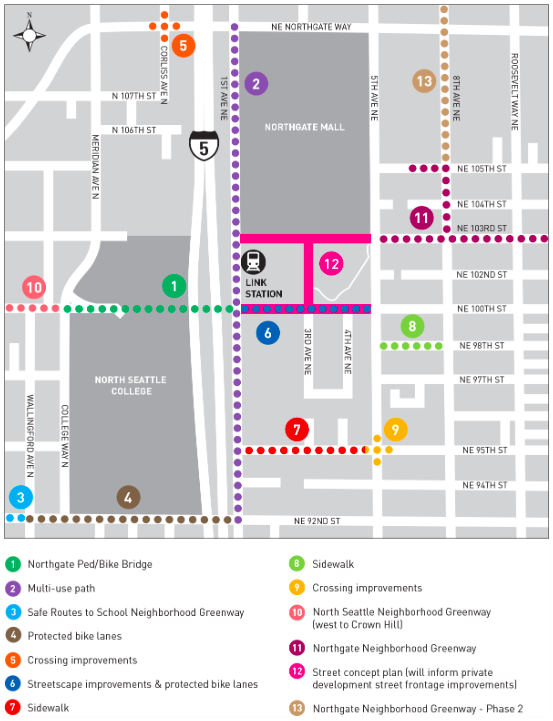 Home Zones can use a variety of design improvements such as diverters, speed humps, and other elements, but focus on improvements that have the best “bang for our buck”, recognizing that Seattle’s pedestrian budget is stretched very thin. Licton Springs is one of a number of neighborhoods that were annexed by the City of Seattle years back without existing sidewalks. 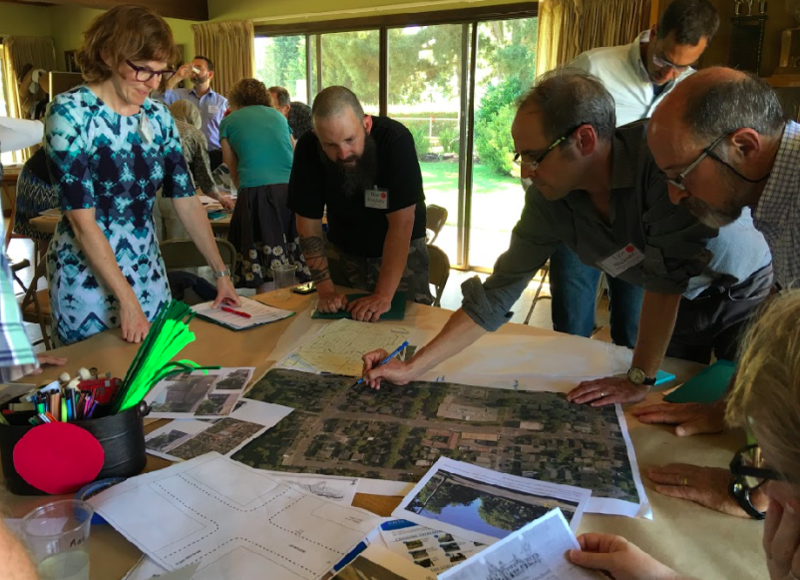 We worked with neighbors in the Licton Springs neighborhood to identify a multi-block area to establish the Home Zone demonstration project, and community leaders from within the neighborhood to help coordinate the project. 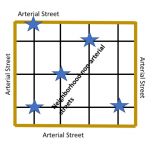 Over the course of the year, volunteers with the “Meridian Project” gathered at community design meetings, did door-to-door outreach, and toured the neighborhood streets to take note of known street hazards as well as opportunities for future traffic-calming. This project is still underway, but the results have already surpassed our expectations on two fronts—one being the level of enthusiasm and participation from a multi-generational base of neighborhood volunteers; but also, and most notably, the unexpectedly brisk buy-in from the City, whereby Seattle is ready to invest $350,000 in a pilot Home Zone project of its own, based on our persistent vision and promotion of this model. The initial community design workshop was a vibrant affair, packed to capacity, with a high level of participation across the room. 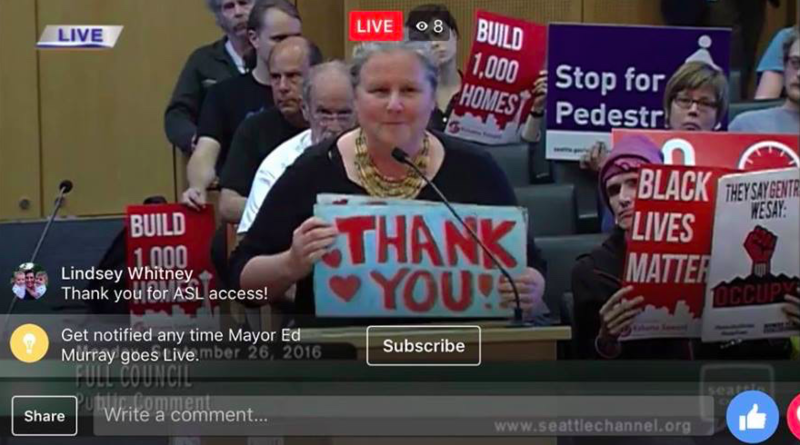 We had a robust turnout of 60 people, including kids, elders, homeowners, renters, business owners, and members of the local deaf community. 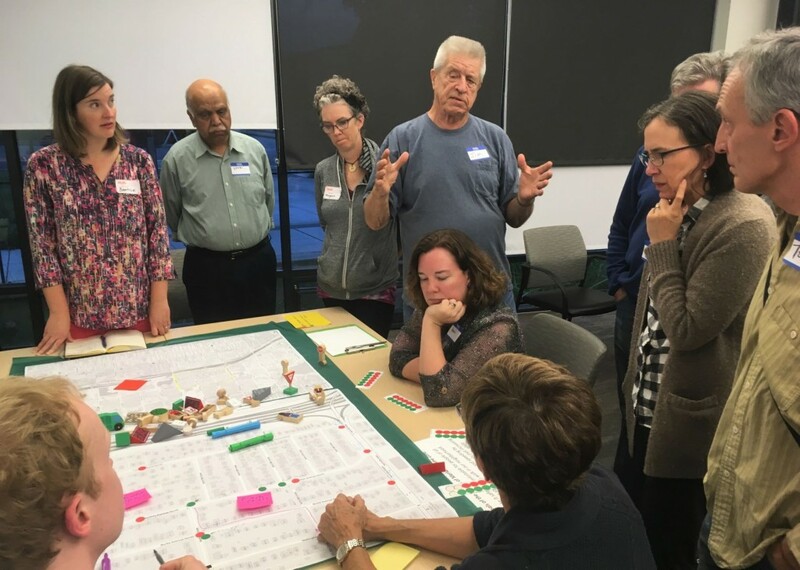 Food was provided and short presentations were made, but the bulk of the 2-hour meetup involved maps, markers, and sticky notes—and community members deeply engaged with each other in identifying both the hazards of their local streets and possible solutions. 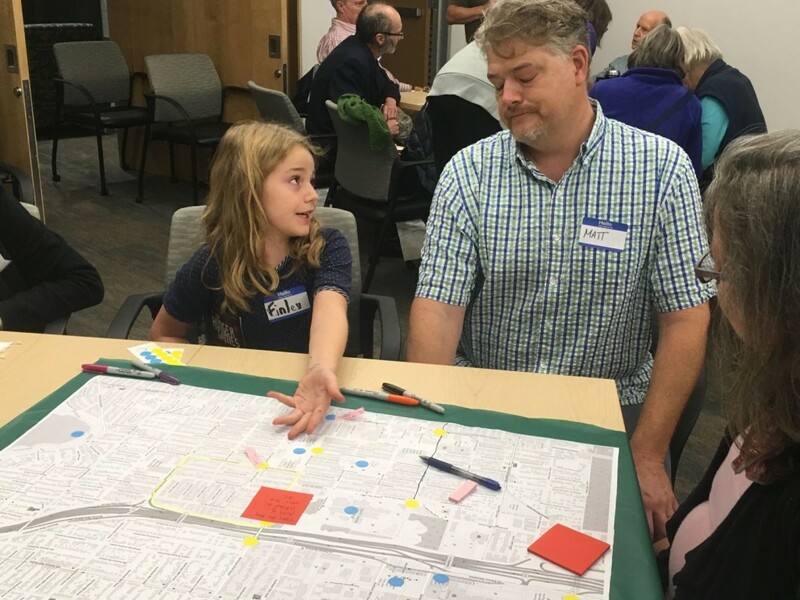 The community identified traffic-calming, art, and wayfinding ideas to be explored further. Building off of this large meeting, we hosted two smaller strategy meetings and a community walking audit to formalize the initial input we gathered. 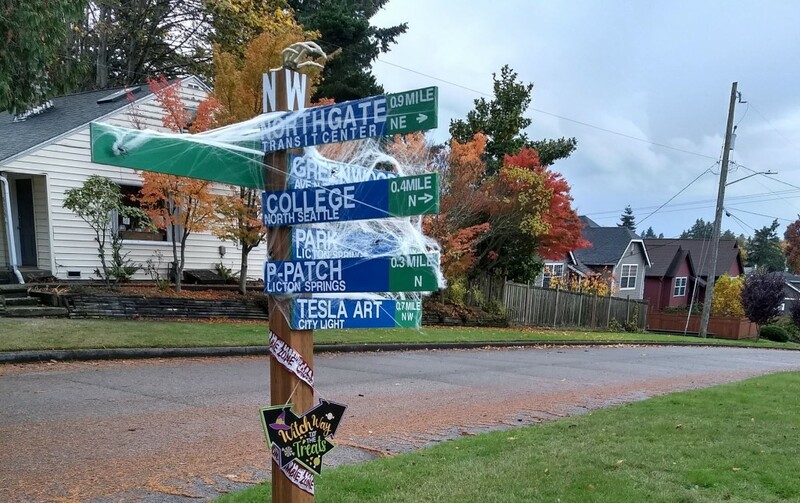 Local community volunteers created a delightful wayfinding sign, pointing to popular nearby parks, libraries, and shopping districts, within walking distances noted. Sites have been selected and designs drawn up for self-watering planter box chicanes, now only awaiting official permits before they can be put together and installed on the street through a community work party. A street mural is also in the works: We’ve selected potential locations and are talking with local artists about designs — installation is expected in June when the pavement will be dry and warm enough for the paint to adhere properly. 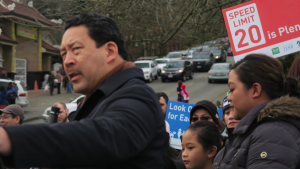 One of our key goals going in was to inspire the city of Seattle to adopt the Home Zone model as a large-scale, systemic solution that’s affordable, and immediately within reach. 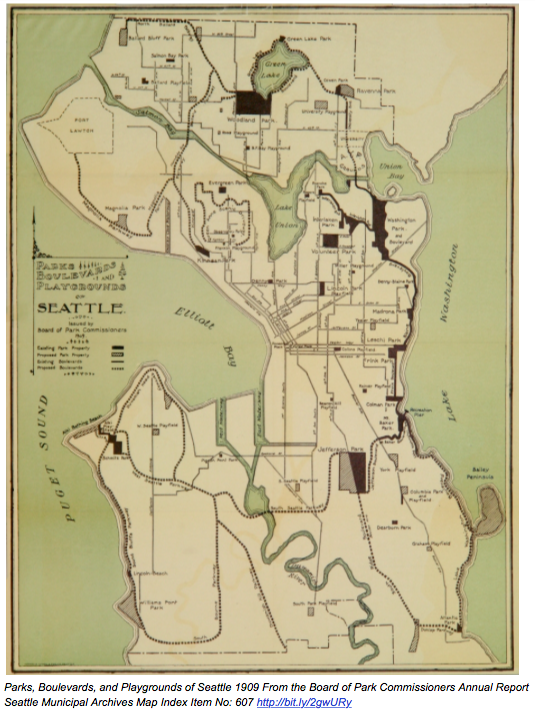 In November 2019, Seattle City Council approved a budget of $350,000 for the city to create its own Home Zone pilot project, building on ideas we developed. For more details about the Home Zone model, see our handy Home Zone FAQ. You, your friends, and your family are invited! Here is a chance to support SNG, welcome new staff, and bid a fond adieu to founding executive director Cathy Tuttle. Our city owes a debt of gratitude to Cathy for her visionary and effective work. 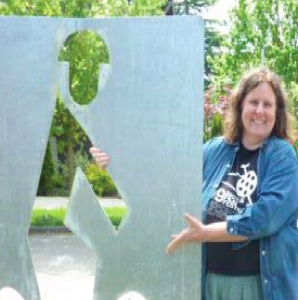 Among innumerable other accomplishments, her leadership inspired and supported the formation of 20-some Greenways groups. 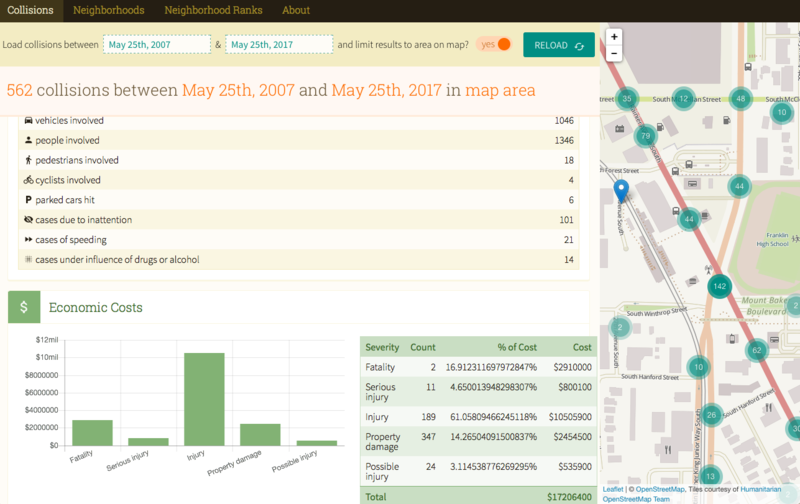 From Georgetown/Duwamish to West Seattle to Licton Springs, citizens who care about safe streets are making a difference in their communities. What: Have a great beer and support a great organization! Why: For each pint purchased, $1 will be donated to Seattle Neighborhood Greenways to benefit safe streets advocacy in Seattle. 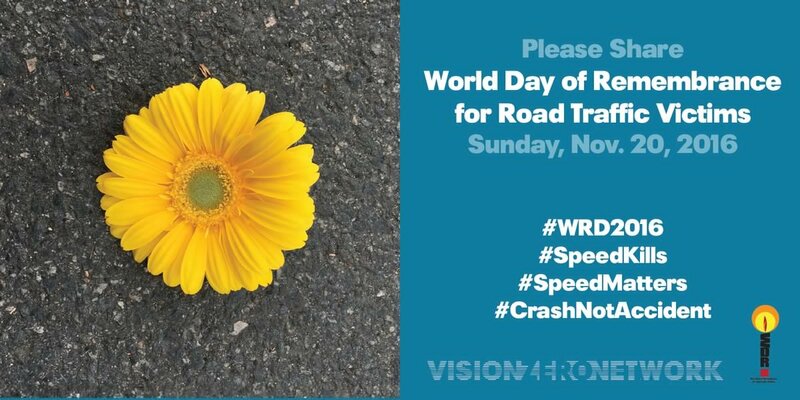 Hang out with like-minded people who care about safe streets. Say hello to the new Executive Director Gordon Padelford and newly hired Communications & Development Director Susan Gleason and good-bye to outgoing ED Cathy Tuttle. Come join me for a farewell beer — and welcome new staff at a party at Peddler Brewing in Ballard on Sunday August 13 from 4 to 8 PM. It has been my great pleasure getting to know you. You are people all over Seattle doing your part to reclaim streets as public space. You are the parents walking to school with your children in Lake City along streets with no sidewalks. You are the tech workers who suffer daily terrifying near misses on your bike to work. You are the families celebrating Play Streets in Queen Anne. 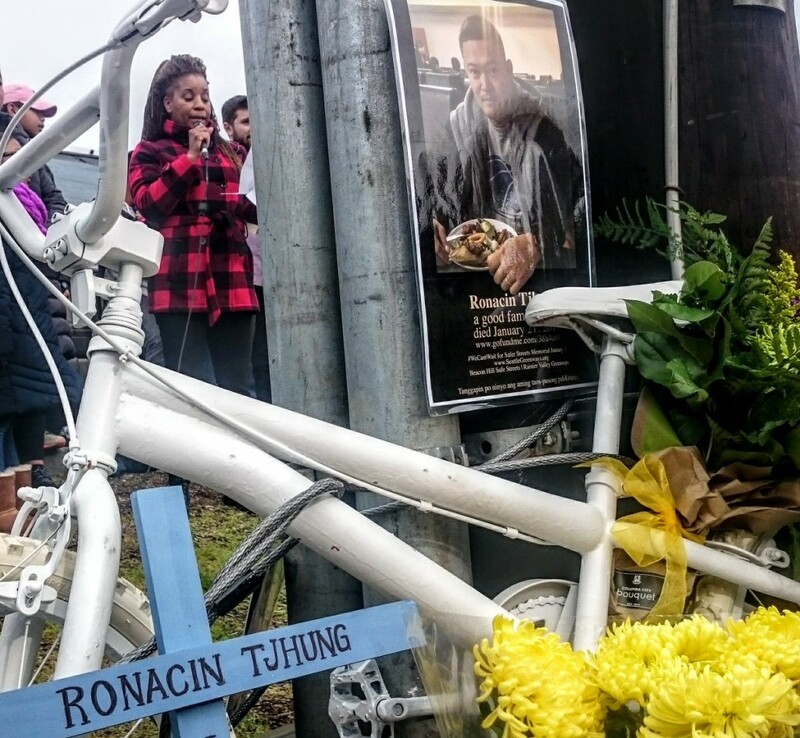 You are Rainier Valley family bikers negotiating a car-free life. 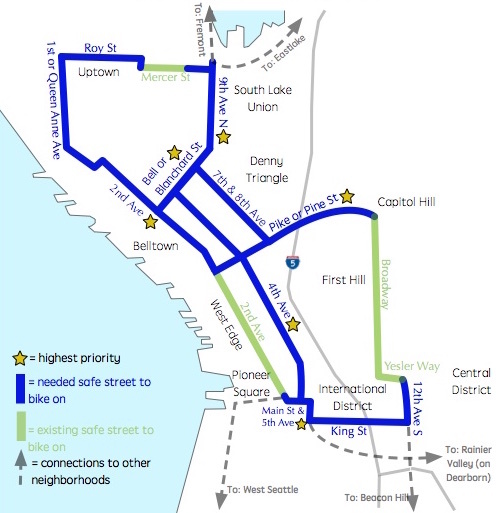 You are neighbors who are trying to figure out how to travel safely on foot and by bike between South Park and Georgetown. 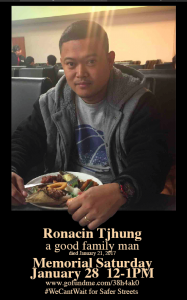 You are families mourning the death of a loved one from traffic violence. 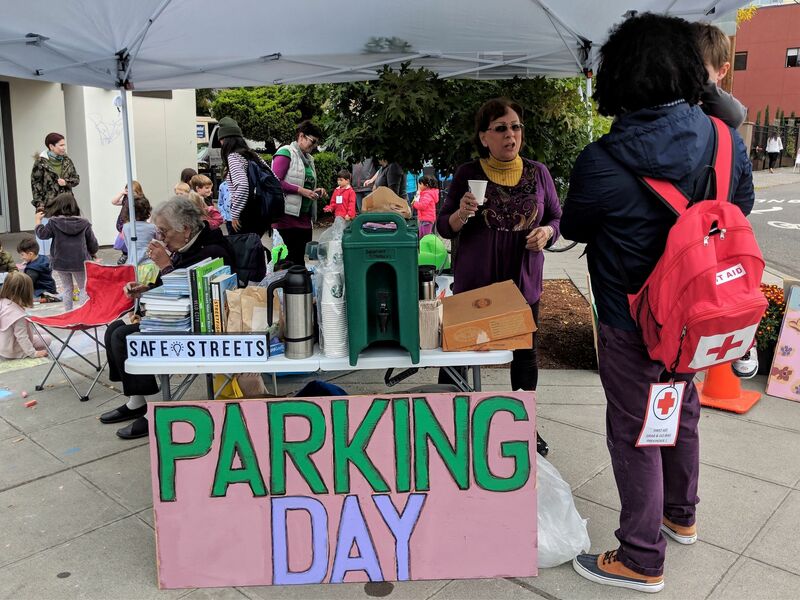 You are the teams painting streets in Ballard on PARKing Day. You are older adults who long for a nice place to sit outside on slower, safer streets where people driving stop as you cross the street. 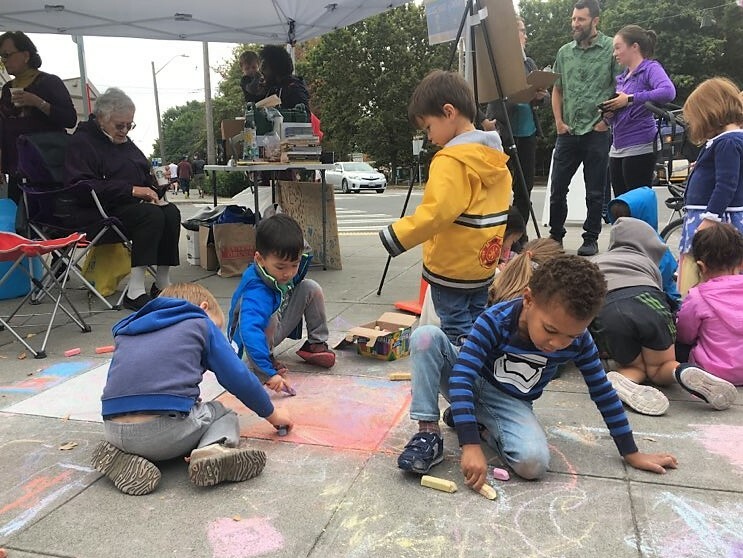 You are part of a citywide movement — and Seattle in turn is part of a global movement — of people who share a vision of streets as essential public places for people. 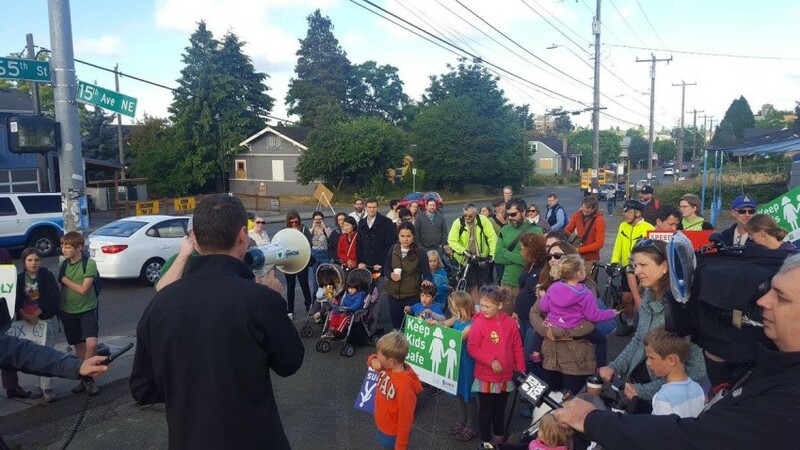 As the founding Executive Director of Seattle Neighborhood Greenways (SNG), I’ve worked full time and tirelessly for the past six years, listening to your stories, uniting our coalitions, and amplifying our voices. 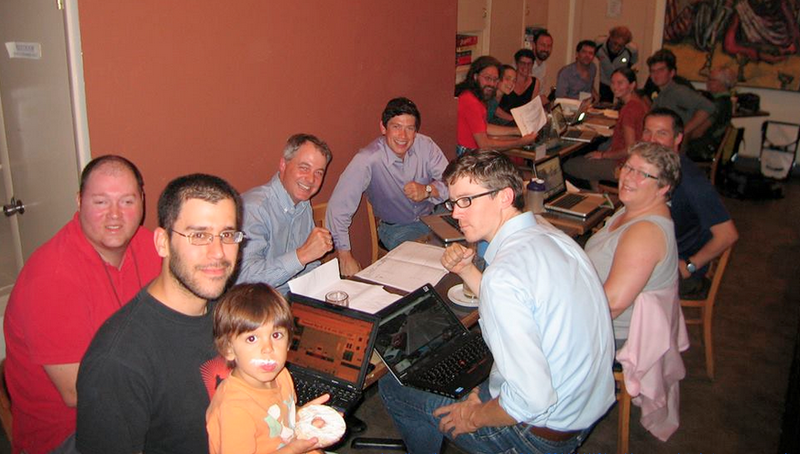 In the past six years as ED, my work has been to direct the conversation, and I’ve seen our streets transformed. 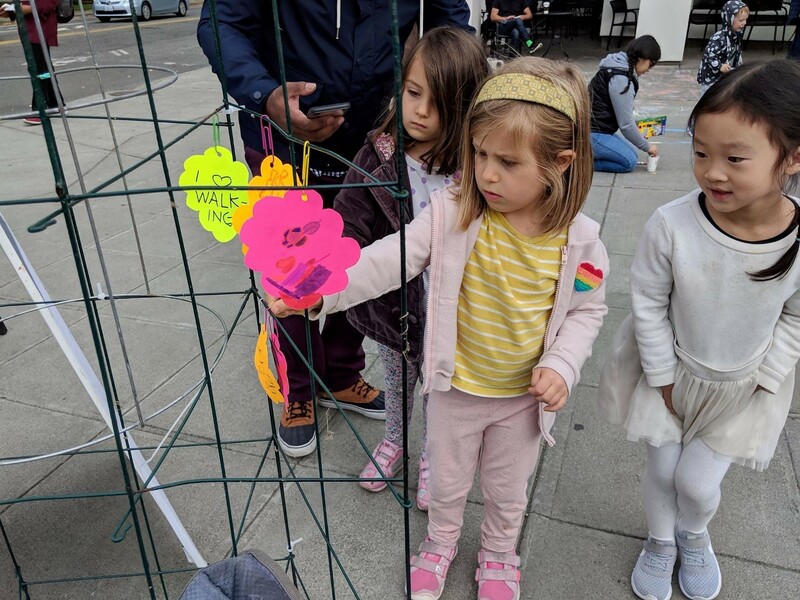 More people are walking and biking along protected bike lanes and greenways, parklets and play streets are opening, safe routes for children to our lowest income schools are prioritized. We’re in a good place. And we have far to go. I’ve worked side by side for the past four years with SNG Policy Director Gordon Padelford, a master coalition builder. I’m delighted he is taking over as ED of SNG. His focused advocacy has helped to put Seattle on the map as a 20 MPH Vision Zero city, and his work has directed millions of dollars into Safe Routes to School, true multi-modal corridors, road rechannelizations, sidewalks, protected bike lanes, better traffic signals, safer routes to transit, Play Streets, tactical urbanism, and much more. As we continue on our journey dedicated to reclaiming contested public space for people, I am asking you to keep caring and to keep showing up. Please support the work of Gordon and his team of professional advocates (welcome to the SNG team Susan Gleason!). 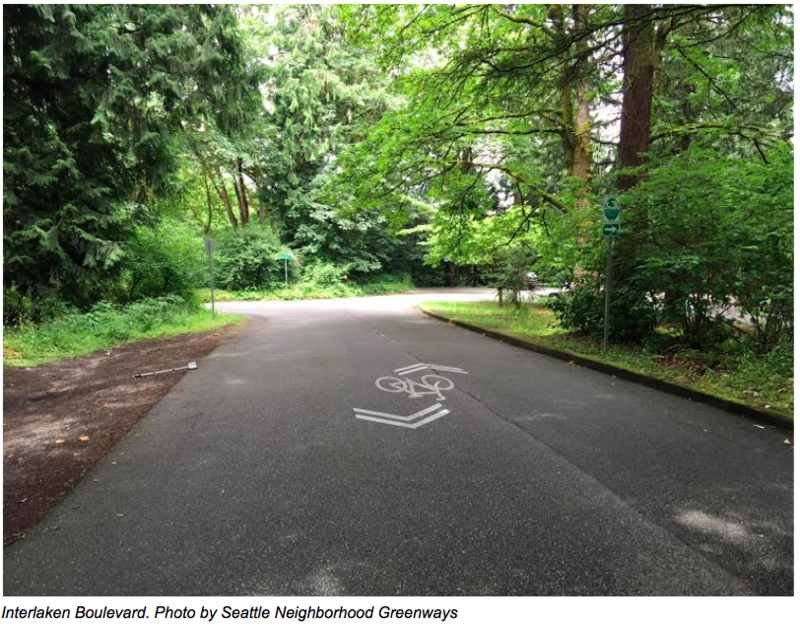 Support your neighborhood’s on-the-ground greenway group. 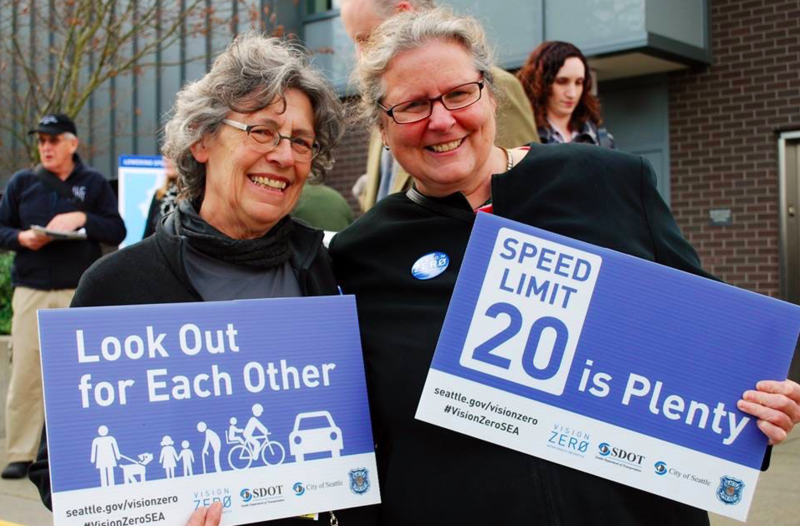 Keep demanding safe, healthy streets for people of all ages, all abilities, and all incomes. Thirty percent or more of land in most every city is primarily dedicated to moving and storing cars. I am leaving on a series of extended stays in cities around the world that are working out the details of how to transform their streets into public spaces for people. First stop, Berlin. 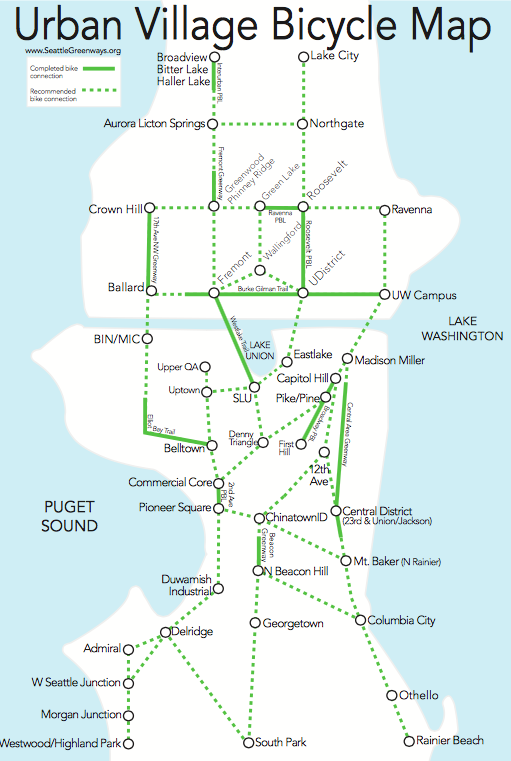 We are at a tipping point in the transformation of Seattle into a walkable city. We are witnesses of and advocates for the movement towards a bike-friendly city. We are transforming our streets into public places where people can sit, meet, talk, and play. With your help, Seattle can become a growing city where streets support people’s lives as they move around, meet new people, raise a family, and grow old. A city I look forward to visiting. Keep going strong my friends.